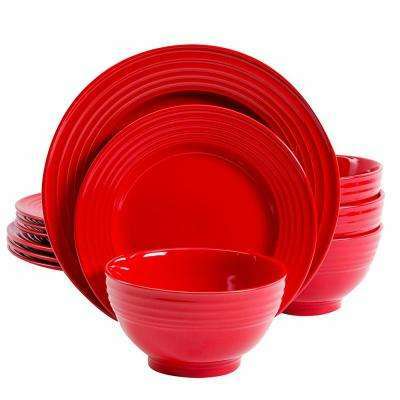 Gibson offers a range of durable dishware to create new tablescapes for everyday meals or holiday gatherings. 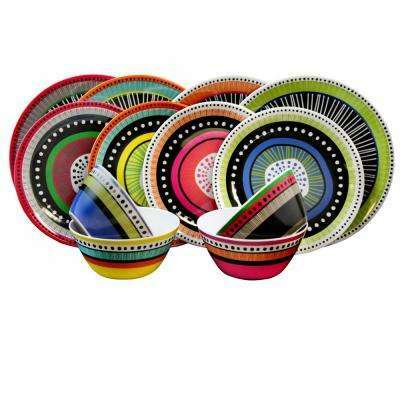 From vibrant patterned plate sets to elegant white dinnerware, you’ll find a design that matches your decor. 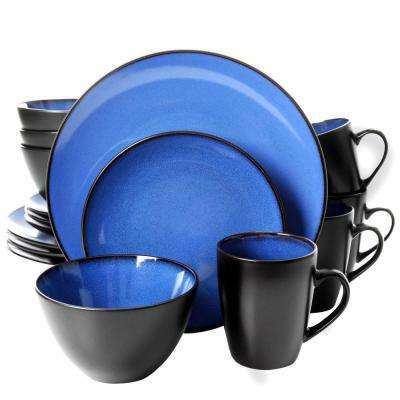 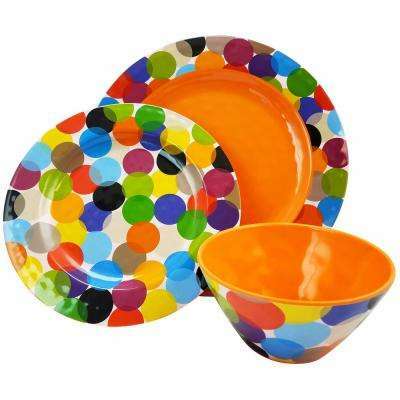 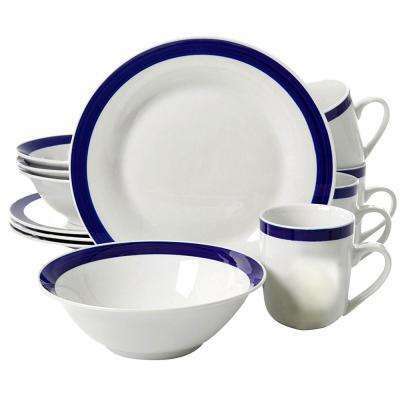 Gibson dinnerware sets are known for their bold colors and patterns ranging from stripes to flowers to polka dots. 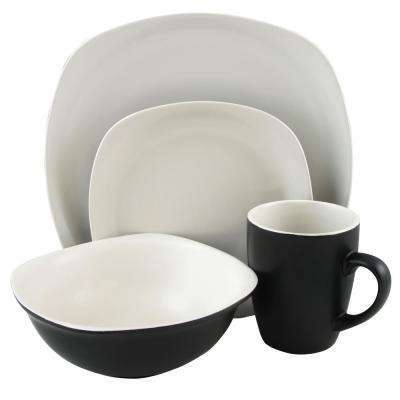 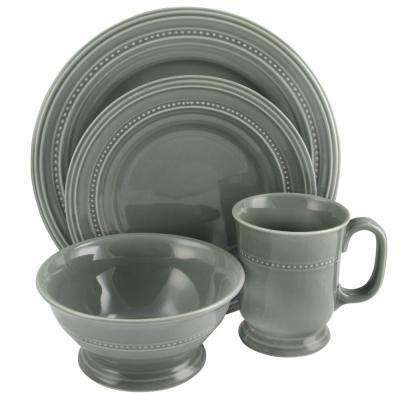 Sets typically include dinner plates, dessert plates, bowls and mugs. 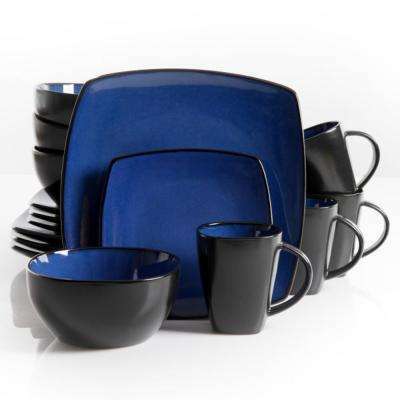 A 16-piece dinnerware set, for example, comes with place settings for four people. 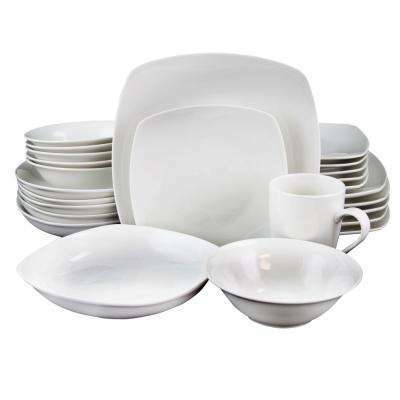 Gibson also offers a 39-piece expanded dinnerware set for six that includes serveware. 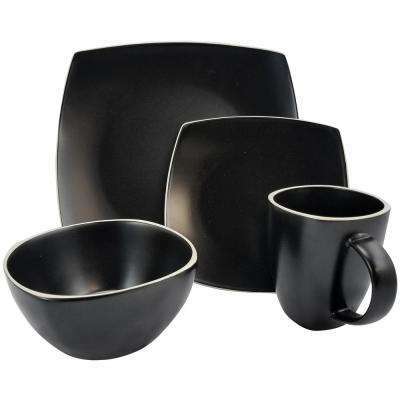 You can also choose bowl sets for cereals or soups. 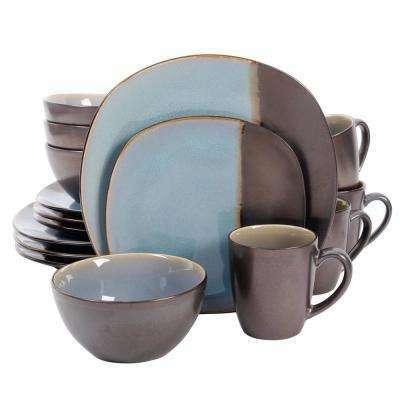 ● Stoneware. 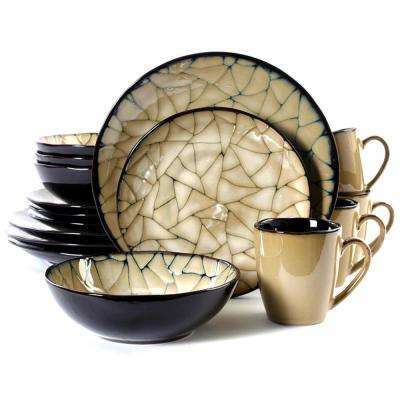 Stoneware is one of the most durable options because the glazing process helps it resist chipping. 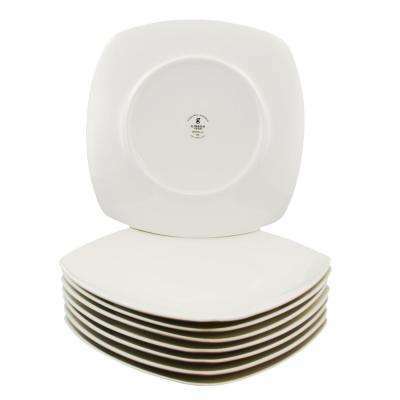 A good fit for everyday dining, it stands up to constant use and frequent cleaning. 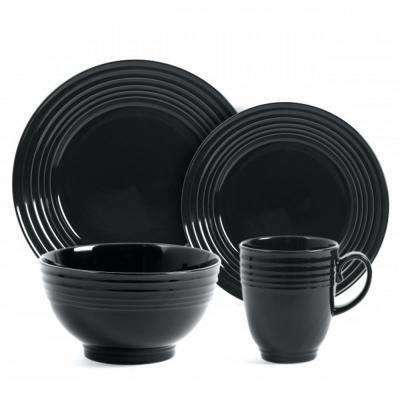 Melamine dinnerware sets—made from a type of plastic—are also highly durable options. 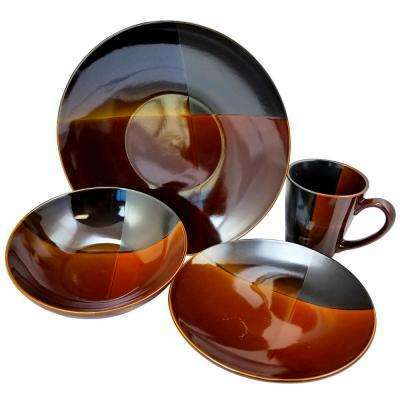 ● Earthenware. 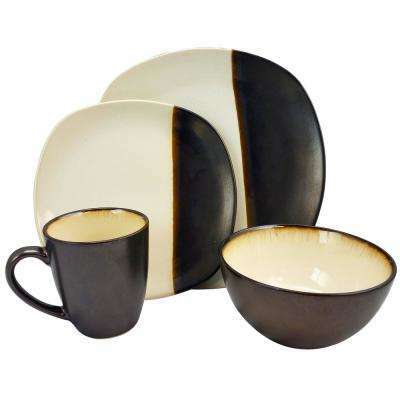 Not as sturdy as high-fired stoneware, earthenware styles are the right choice if you need something lightweight. 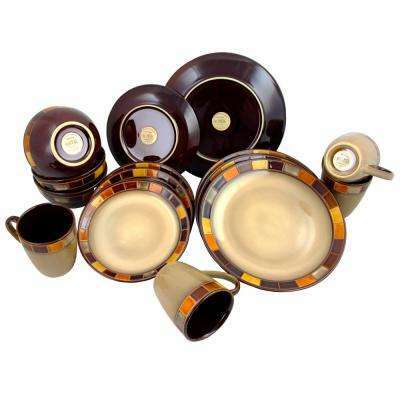 They can be finished with brighter-colored glazes than stoneware because of the lower firing temperature. 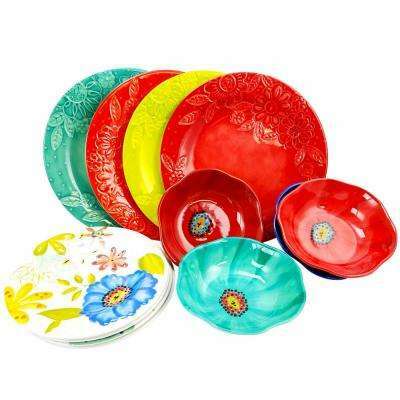 These dishes are well-suited for hand-painted designs. 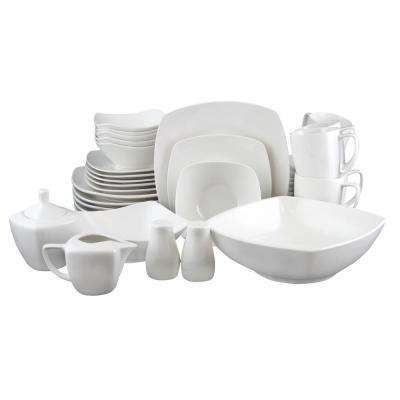 ● Porcelain. 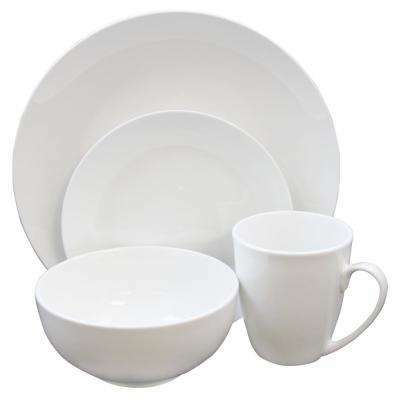 Sometimes referred to as fine china or bone china, porcelain dinnerware is made from fine-quality sand and clay. 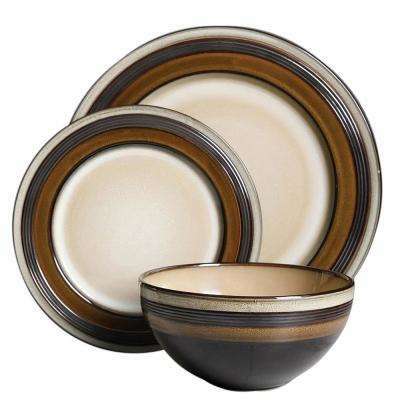 It’s durable but thinner than earthenware and stoneware, and can really dress up a dinner table. 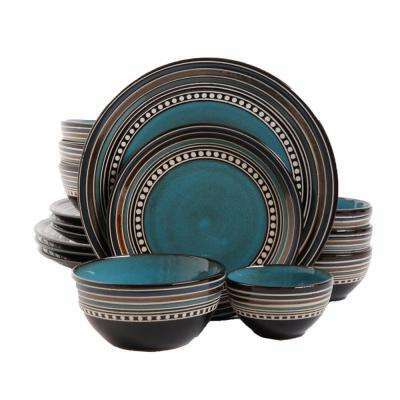 For everyday use, choose a color or pattern you won’t tire of, but don’t be afraid to make a statement. 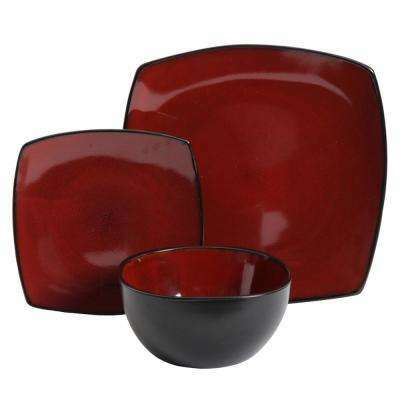 A bright red and green Gibson set can add flair to a neutral dining room. 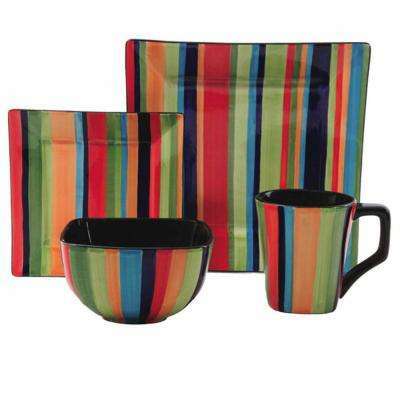 Dishes with assorted colors or stripes can bring playfulness to your breakfast nook. 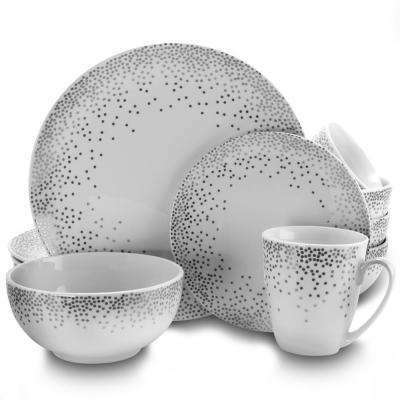 To balance bold designs, choose solid table linens, or go with basic black or white. 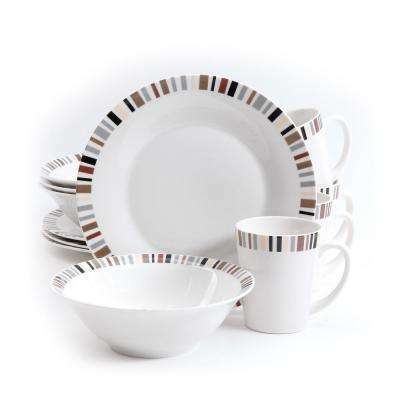 Gibson white dinnerware has a timeless look that works well for special occasions. 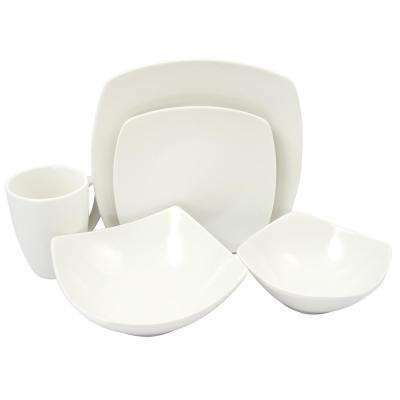 Choose square ceramic dinner plates for a contemporary vibe.